Today we have major news! Go back to Ascendaar and battle against the terrible Overseers! You’ll need to fight your way into the newly created assembly facility where Mr. Rob070’s remainings lay. You need to take control of it! Once you defeated the Overseers travel at light speed to Borealis, the Ga’r ask for our aid. They managed to train the Fenrir to hunt for food but they are were trapped in caves by the Raad to cut their meat supply. We need to get them back! 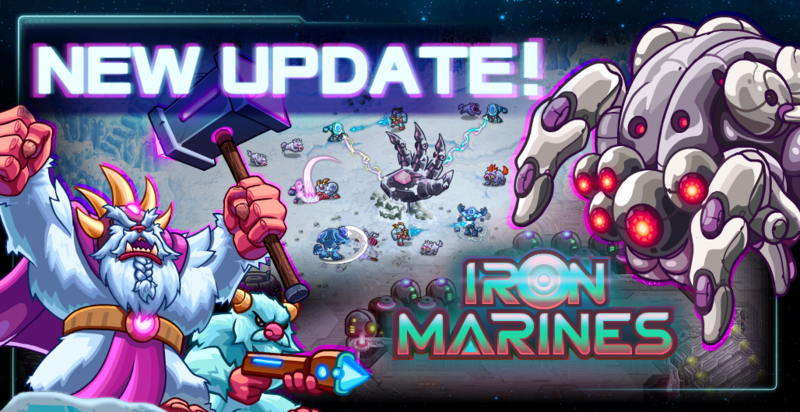 A brand new feature arrived to the galaxy, Iron Marines has now game challenges! Fight never seen before battles and test your strength! The Iron Marines need your command!